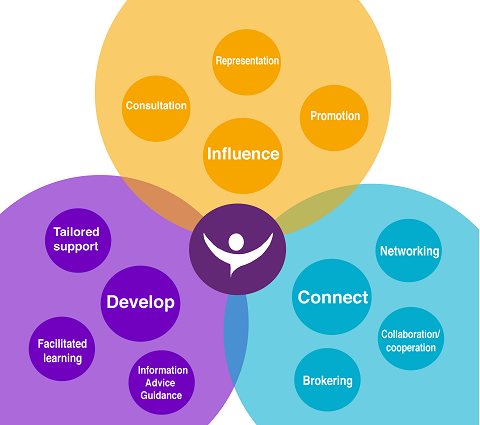 This functions map has been adapted from one developed by National Council for Voluntary Organisations (NCVO) for the Value of Infrastructure Programme. It is based on PERFORM: the Outcomes Framework for Infrastructure. To review our progress against these strategic priorities and work strands please view our latest Annual Report and our Annual Audited Accounts (under related links).